After making the initial decision to explore your ancestry and genetic origins, you are faced with a multitude of nuances, separating one ancestry DNA testing company from the next. 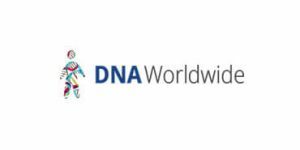 DNA Worldwide and DDC are both excellent choices for the task at hand, but one will certainly come out on top once you identify your specific needs and expectations. Their services, although high-quality and professional, differ in small but important aspects, even though they seemingly do the same thing. Our comparison will help you spot those differences between DNA Worldwide and DDC, allowing you to make an optimal and fully personalized choice. Lauded as the most modern and hi-tech DNA testing company of today, featuring countless domestic and international certifications, DDC DNA offers a myriad of DNA tests. DNA Diagnostics Center (DDC) offers one ancestry DNA test - GPS Origins. The final report will provide you with information about your ethnic percentages, the exact geographic point of origin of your DNA signature, the migration routes of your ancient ancestors, and more. This place is horrible. Unprofessional at best. Toying with peoples lives... their emotional state is just down right unacceptable. They promise results and do not follow through. Not once but twice. We still do not have our results as of today. They dont answer the phone, let alone return calls. Leave you on hold for hours. I should have read the reviews first, but seeing how this is supposed to be the best, I didn't. And my/our families are paying for it. I will be contacting the BBB as well. I want what they have done on record. I also posted a review on their site and it was deleted this morning. This place is a joke. HORRIBLE service. Keep getting the run around on our test results. Paid for results in two days and its a week now and they keep making excuses as to why its not done. DO NOT USE this company!! They don't even deserve one star. Their collector filled out everything and did the swabs and they are still giving us a hard time getting results. No one ever picks up the phone, on hold for hours then the system hangs up on you. This is the worst experience! I decided to get a paternity test with a guy who can be my dad. We sent them off November 27. Two weeks later I had not received any email. I called and they said my samples were received and I would know my results the next day. They required a reswab. I sent the email requiring a new test. I did not receive it until I called after over a week. I finally received it and sent it back the 27th of December. I did not receive a email so I called and was told they hadn't received them and to call USPS. After waiting on the phone with USPS for 2 hours I found out they received my samples the 28th. I called again and it was confirmed. Here I am on Friday with no results in sight. Hold time is so long! Worst company to deal with ever. Purchased the kit from Walgreens, and sent out the envelope to the facility. I got an email to get in touch with them, i did and they advised for a reswab. Two weeks have passed and i still have not received anything in the mail. I called and they said it usually takes from 3 to 4 weeks to get the new kit... 3 to 4 damn weeks to get a package in the united states. Most horrible company and a experience i have ever dealt with. I do not recommend this company to anyone.